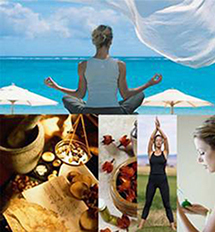 Complementary treatments are used in combination with conventional medicine. Alternative treatments are used instead of conventional medicine. Why do people use complementary medicine? Regarding complementary medicine therapies as natural and less toxic than conventional treatments. Past experience using complementary medicine. Easing symptoms or side effects from conventional treatments. Dealing with the stress related to a chronic illness and its treatment. Strengthening the body's ability to heal. Offering a sense of control over one's healthcare experience. Like any decision concerning your health, the decision to use complementary medicine should be made after careful consideration and with the use of good information. Biologically based practices in complementary medicine use substances found in nature, such as herbs, foods, and vitamins. This includes what the Australian regulatory body, the Australian Therapeutic Goods Administration (TGA), defines and regulates as complementary medicines. Some examples include dietary supplements and herbal medicines. The term Natural Health Products (NHPs) is also used and defined as vitamins and minerals, herbal remedies, probiotics, and other products like amino acids and essential fatty acids. Like food, these act by producing chemical changes in your body. Look for NHPs approved by the Therapeutic Goods Administration (TGA). The TGA website contains further information about the regulation of complementary medicine in Australia. Only use complementary medicine products that are approved for use in Australia. This is important because some countries don't have robust quality control mechanisms in place and the quality of their complementary medicines can vary considerably. Individuals who import medicines into Australia, including complementary medicines, for personal use (either bringing the medicine in their luggage or arranging for the product to be sent from overseas) may be at risk because the products have unknown quality, safety and efficacy. Aromatherapy is the practice of using essential oils, mostly from plants. By smelling the aroma, messages are sent to your brain. There are techniques that use the mind to affect the body. These practices can improve quality of life, relaxation and wellbeing, and decrease stress or anxiety. Meditation uses focused attention on your moment-to-moment experiences, letting go of day-to-day thoughts, relaxing your body and calming your mind. A Mindfulness-Based Stress Reduction (MBSR) program combines mindfulness meditation, yoga, stretching, and group work. Hypnotherapy causes a state of deep focus, where you are fully relaxed yet aware. A hypnotherapist will use suggestion to help you to cope in different ways with certain symptoms or to change some behaviours. People can also be trained in self-hypnosis for managing some symptoms. Guided-imagery (also called visualisation) involves focusing your imagination on pleasant scenes, sounds, smells or other sensations to achieve a relaxed, focused state. It can be directed by yourself or by a facilitator (storyteller, healer, etc.). Music therapy involves listening to music or using musical instruments under the guidance of a music therapist. Art therapy involves the expression of feelings or emotions such as fear, isolation, anger, and hope through painting, drawing, sculpting or other types of art or craft with guidance from an art therapist. These include spinal manipulation and massage, as well as exercise and movement therapies. Many of these practices enhance wellbeing, muscle tone, agility, and flexibility. Tai Chi incorporates meditation, breathing exercises, and slow body movements. Yoga incorporates meditation, breathing exercise, and a series of stretches and poses. Massage therapy involves applying pressure to muscle and connective tissue to reduce tension and improve circulation. Energy therapies involve the use of energy fields and consist of two types: biofield therapies and bioelectromagnetic-based therapies. Qi Gong, a component of traditional Chinese medicine that combines movement, meditation, and controlled breathing. The intent is to improve blood flow and the flow of qi (energy). Reiki, a therapy in which practitioners seek to transmit a universal energy to a person, either from a distance or by placing their hands on or near that person. The intent is to heal the spirit and thus the body. Therapeutic Touch is a therapy in which practitioners pass their hands over another person's body with the intent to use their own perceived healing energy to identify energy imbalances and promote health. Whole medical systems can cut across all domains. Whole medical systems are built upon complete systems of theory and practice. Often, these systems have evolved apart from, and earlier than, the conventional medical approach. An example of a whole medical system that has developed in Western cultures is naturopathic medicine. Naturopathy aims to support the body's ability to heal itself through the use of dietary and lifestyle changes together with complementary medicine therapies such as herbs, massage, and joint manipulation. Examples of systems that have developed in non-Western cultures include traditional Chinese medicine (TCM) and Ayurvedic medicine. TCM is based on the concept that disease results from disruption in the flow of qi (energy) and imbalance in the forces of yin and yang. Practices such as herbal treatments, meditation, massage, and acupuncture seek to aid healing by restoring the yin-yang balance and the flow of qi. This includes Chinese herbal medicine. Ayurveda is a whole medical system that originated in India. It aims to integrate the body, mind, and spirit to prevent and treat disease. Therapies used include herbs, massage, and yoga. Traditional Aboriginal or indigenous medicine uses a holistic model of wellbeing through the integration of emotional, physical, mental, and spiritual aspects of being. Vincent C, Furnham A. Why do patients turn to complementary medicine? An empirical study. Br J Clin Psychol 1996;35:37–48. Furnham A, Kirkaldy B. The health beliefs and behaviours of orthodox and complementary medicine clients. Br J Clin Psychol 1996;35:49–61. Richardson J. What patients expect from complementary therapy: A qualitative study. Am J Public Health 2004;94:1049–1053.